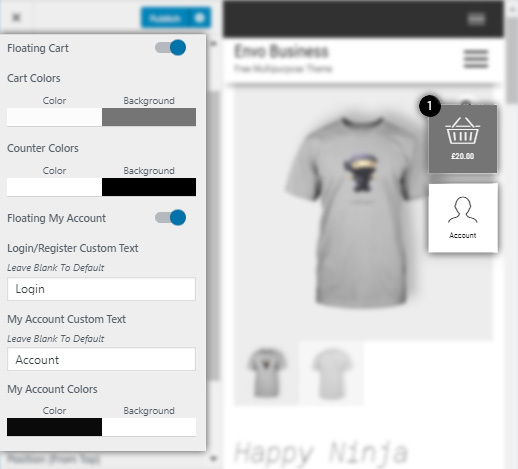 Display and customize your products and categories on KingComposer pages with easy. Products and categories KingComposer sections with dozen of customization options. Design your products with live customizer editor. Style your images, borders, colors or typography. Plugin allows you to enable Zoom, Lightbox and Slider features on single product page. Fully customizable floating Cart and My account. Style your colors, texts and position.